Healthy can be delicious and beautiful. I made a wrap for lunch the other day. 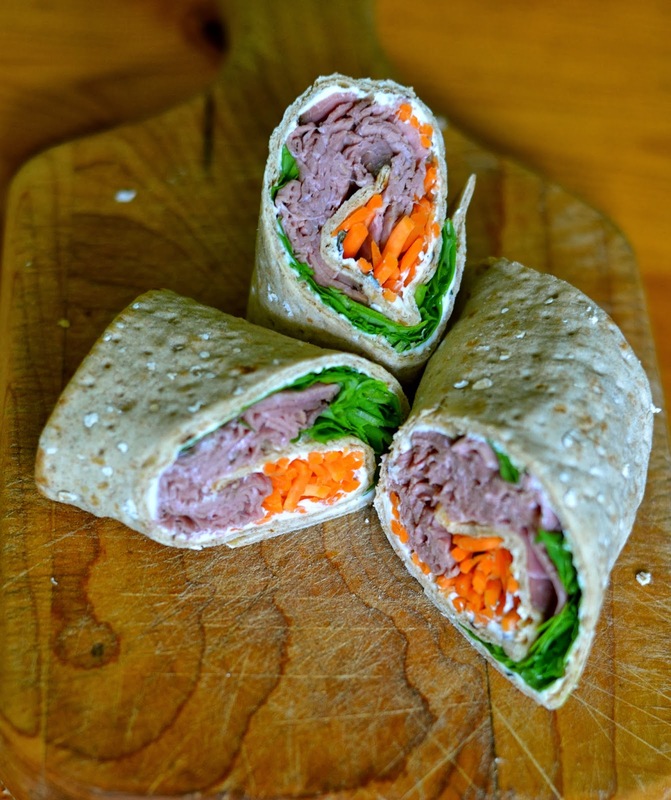 Rare roast beef, low-fat homemade herb cheese, arugula or spinach and shredded carrots. It was simple to put together and one wrap was definitely enough to fill a person up. I added a shiny red apple, unsweetened decaf, iced tea and a SO Delicious mini ice cream sandwich made with coconut milk.